Often, city life is glamorized to appear magical. The city is full of shops, landmarks, things to do, and bustling with life. The lively street life is a culture that many people live for. However, when it comes to navigating a busy city like Pittsburgh, is trying to flag down a stranger on the side of the street the best way to get from point A to point B? 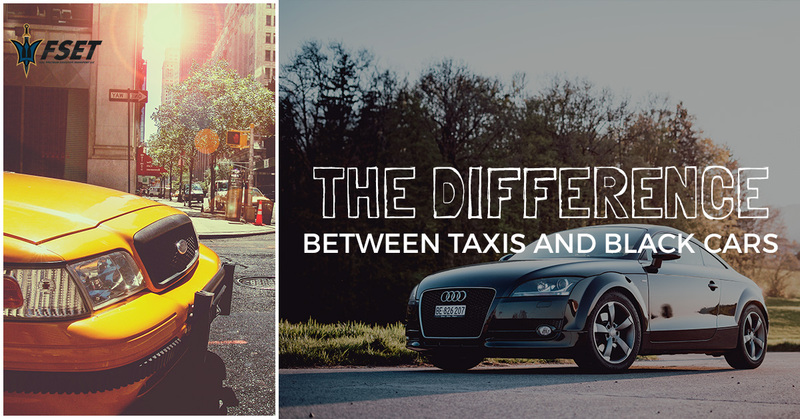 In this blog we’ll discuss the differences between taxi service and black car service in navigating bustling cities to let you decide which one is the best option for you. Great for not planning ahead. Whether you’re out for a night on the town and forget about making sure you have a ride home, or you go to a friend’s house and don’t expect things to go as late as they do, whatever the reason, sometimes life happens. Sometimes you are put in situations in which you need a ride, and you need one that’s fast and convenient. Taxis are your best option in this case because they don’t require any kind of scheduling beforehand. Simply flag one down, and there’s your ride. When you’re desperate, it’s a great solution. Many people use taxis because they don’t know there are other options. People who are new to the city life don’t realize that there are other modes of transportation besides a taxi. When all you see are yellow taxi cabs zooming around, you may not realize the other options available. Especially with the internet right at your fingertips, it’s easier now than it’s ever been to book an affordable and comfortable ride in the city. Taxi cab prices are based on how far you go, which in the city is usually not very far. However, cost of taxi rides are affected by traffic, construction, and detours. If you’re subjected to a longer detour due to a road closure, you’ll end up paying a larger price. Know when and where you’ll be picked up and dropped off. With black car services, you have the security of knowing when and where you’ll be picked up and dropped off. There’s a luxury in knowing that you have a ride coming for you, rather than worrying about how you’ll get where you need to go. Not to mention worrying about whether or not you’ll be successful in flagging a taxi driver down. With a black car service, you know exactly what you’re getting from start to finish. You are not wondering whether or not you’ll be comfortable, and you can choose the private car that suits your needs. Professional drivers and a comfortable ride. With professional drivers employed by black car services, you’re not at risk for a city taxi horror story of a driver who makes their rider’s journey uncomfortable. With a luxury chauffeur service, the drivers are trained to ensure that from the moment you step into the vehicle, you receive the best, most courteous customer service. When you schedule your ride with a black car service, you negotiate a fixed price that doesn’t change no matter how many detours your driver has to take. No more do you have to worry about extra costs, or fishy drivers trying to get more money out of you. If you’re travelling with luggage, or even a few other people in tow, it’s not easy to find a transportation option that accommodates everything and everyone you’ve arrived with. In fact, the back of a taxi cab can get cramped very quickly, and you can never guarantee that you’ll be able to flag down the appropriately sized taxi for you and your party. Black Car services guarantee you a ride that can comfortably carry everything you are carrying, as well as everyone you’re with. Full Spectrum Executive Transport is Pittsburgh’s top black car service. With us, you’re guaranteed a safe and comfortable ride in the car of your choice every time. Call us today to book your ride.